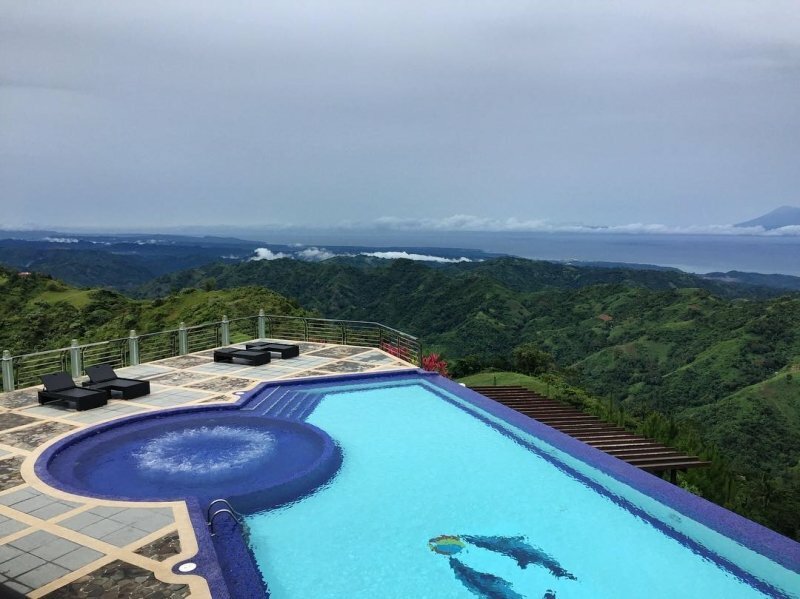 Your next grand vacation awaits you in one of these hilltop resorts in the Philippines. When you hear the phrase “Philippine resorts,” you immediately think of beautiful white sand beaches teeming with beachgoers, right? How about hilltop resorts? Do you know that the country is also home to world-class hilltop resorts that will bring your tropical getaway to a higher level, quite literally? Check this out! 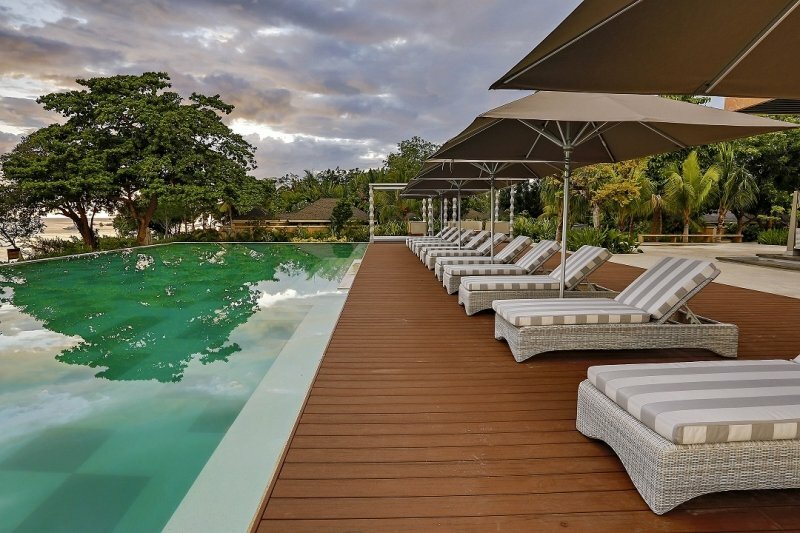 Amorita Resort in Bohol’s Panglao Island is undeniably one of the best hilltop resorts there is. Perched on top of a limestone cliff, there is no other perfect setting to this secluded yet plush boutique hotel. The location itself paints a picture of privacy and serenity. It is the perfect representation of all the charming natural resources of Bohol: azure seas, limestone cliffs, and dense evergreens, to name just a few. Set in a relaxed seaside location, here you can enjoy the splendid view of the cerulean Bohol Sea. You can also experience not just nature at its best but authentic geniality that Filipinos are famous for. Warm suites, offering outstanding views of the waters as well as the lush greeneries on the other side, await you. Amorita Resort is open for business all throughout the year! In other words, the fun never stops in this gorgeous place set on top of Bohol! Give in to your wanderlust desire and explore Bohol's world-class diving sites, pristine beaches and stunning nature spots. Ready for Bohol? BOOK HERE. For more details and special offers, GO HERE. Do you want a taste of Greece without leaving the Philippines? 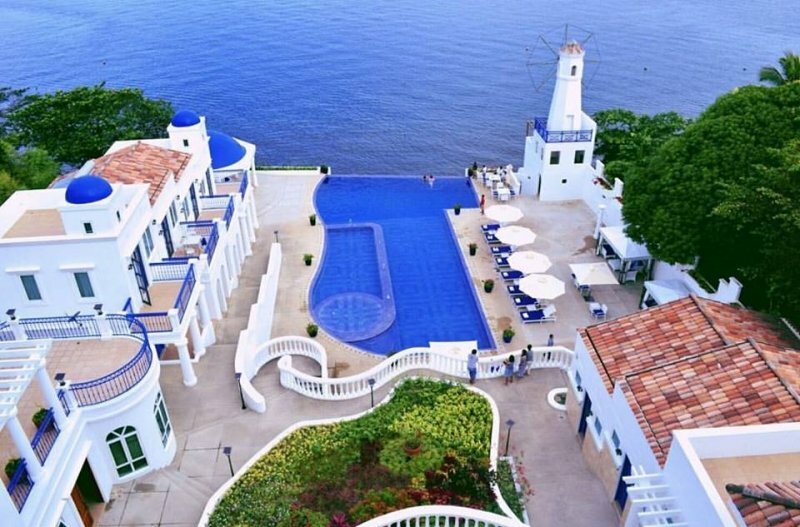 Thunderbird Resorts & Casinos – Poro Point in San Fernando, La Union is dazzling Greek-inspired getaway just hours away from the busy Metro Manila. Here, you will be pampered with magnificent views of the West Philippine Sea while experiencing Santorini without booking expensive flight tickets to the Mediterranean. How about that for starters? Life in this elegant five-star resort is nothing short of amazing. The resort’s setting – on a cliff overlooking the azure ocean – is nothing but perfect for those who want genuine relaxation and tranquillity. There are six Mediterranean-inspired room accommodations ready to welcome you, each one will surely give your spirit a lift. Getting here is already an experience in itself, but staying here is a totally different story. It makes you want to stay! Do you want breathtaking views of the famous Taal Lake, the beautiful Tagaytay slopes, and the soaring Mount Maculot? Then Noni’s Resort in Alitagtag, Batangas, is the place you should go! The resort is a budding tourist destination due to its vicinity to the historic and beautiful Taal Lake and its surrounding ridges. At one thousand feet above sea level, Noni’s will give you the view of your life. Aside from giving you the feeling of being on top of the world, the resort also has a lot of other objects of interest up its sleeve. 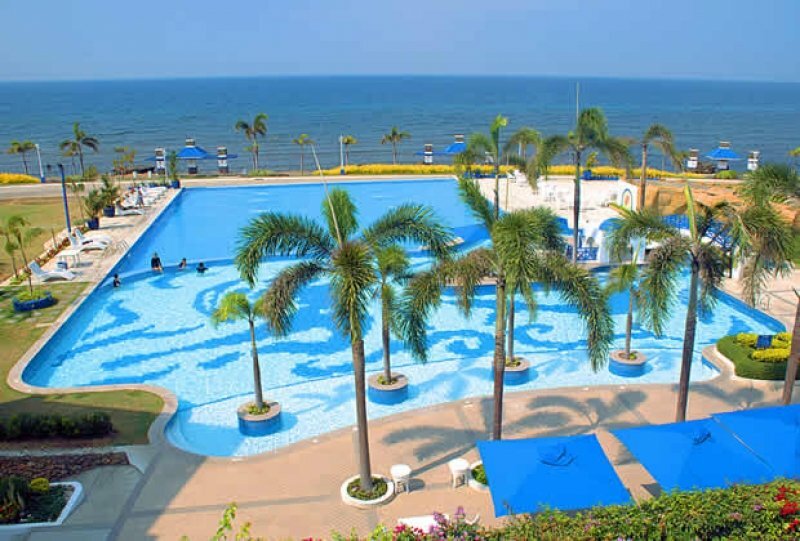 So other than just basking in the tropical sun from the resort’s infinity pool overlooking the lake, you will also have the chance to explore the neighbouring historical sites and attractions around the area. In other words, Noni’s resort is not just your run-of-the-mill getaway. It is indeed your total definition of relaxation, fun, and getaway without going too far from the metro! Think of spacious rooms, a tranquil environment, and luxurious alpine setting and you get Crosswinds Resort Suites! This resort built on top of Tagaytay’s most idyllic location brags not just its inner enlightenment and holistic healing but both visual and gustatory feasts as well. This world-class Swiss-themed hilltop resort is a perfect getaway whether you are seeking for a way to ease your weary soul or just longing for a new adventure. Here, you will be pampered by the sweet scent of thousands of pine trees perfuming the mountain air. The silence in this resort’s environment is so invigorating that staying here makes you think that you are indeed in another world despite its proximity to the busy metro. To top it all off, the resort offers a variety of accommodations that will certainly make you see the beauty of life with another set of eyes! So, don’t go someplace else unless you give this splendid resort a snooping first! Another place to experience Greece without taking a 17-hour flight to Athens is Camp Netanya Resort & Spa. The resort, nestled on a slope, fully captured the splendour of Santorini with its cobalt blue dome capping the white Greek-inspired buildings. Just the resort’s structures are already a feast for the eyes. There are a lot of ways to enjoy and relax while in Camp Netanya. Al-fresco dining, watersport adventure, scenic infinity pool, world-class accommodations, five-star rated facilities – you name it, they have it! Have a taste of the fine Filipino hospitality with a Greek twist that only Camp Netanya Resort and Spa can offer. Do you know where heaven on Earth is? The answer is Tugawe Cove Resort! Ask anyone who’s been there and they will back up this claim. Tucked in a secluded limestone cliff on top of the Caramoan Island in Camarines Sur, the beautiful Tugawe Cove Resort has everything to drool for – calm, undisturbed hidden lakes, lofty limestone formations, and a white sand beach like no other. Being surrounded by these natural beauties while on vacation is nothing but perfect. Because of its idyllic location and naturally beautiful geography, the place had already provided settings for famous international reality TV shows. Oh, did I mention that this resort was the inspiration behind the novel and its corresponding movie, “The Beach,” too? If you say Cebu is only famous for its multitude of seaside resorts, wait until you get to visit this really mind-blowing place – Pine Tree Mountain Resort! Set on an idyllic mountain location, Pine Tree Mountain Resort in Balamban, Cebu, offers postcard-perfect views of its surrounding peaks and slopes. Being here means that you are in for an ideal intimate getaway. The resort’s pine-scented air will surely let you forget about the urban life the moment you step into its grounds. There you go, folks! We have rounded up the most picture-perfect hilltop resorts in the Philippines that will truly make you feel on top of the world. Whether you are looking for fun, adventure, or relaxation, these places will surely add colour to your experiences. Do not forget to visit TripZillaSTAYS for top accommodation picks in the Philippines.